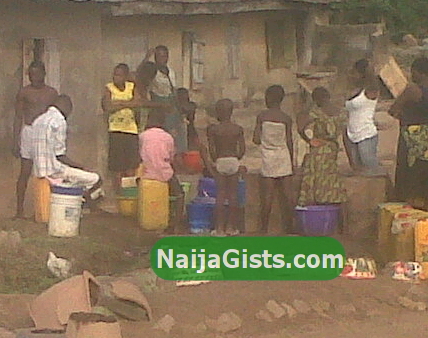 On Tuesday the 12th of March 2013 around 6pm the residents of Ibarapa East Local Government Area In Eruwa West of Oyo State Nigeria lamented the issue of water scarcity which has plagued the area for years. It takes over 2 hours to get water in the area, a daunting task that makes students lag behind in academic performance. We’re hereby seeking the help of Oyo State Government to come to the aid of the residents of this area most especially for the sake of the students by providing boreholes in order to eradicate the burden of the Water Scarcity.